Chasing down that list of potential Predpol customers reveals dozens of cities that have secretly experimented with "predictive policing"
Last October, I published a list of cities that appeared to have contracted with Predpol, a "predictive policing" company, based on research provided to me by an anonymous source who used clever methods to uncover the customer list. Now, Motherboard's Caroline Haskins has used that list as a jumping-off point for a wide array of public records requests that have revealed a pattern of extensive, secret experimentation with precrime in dozens of cities that allowed Predpol to access policing data and predict where more crimes would occur. 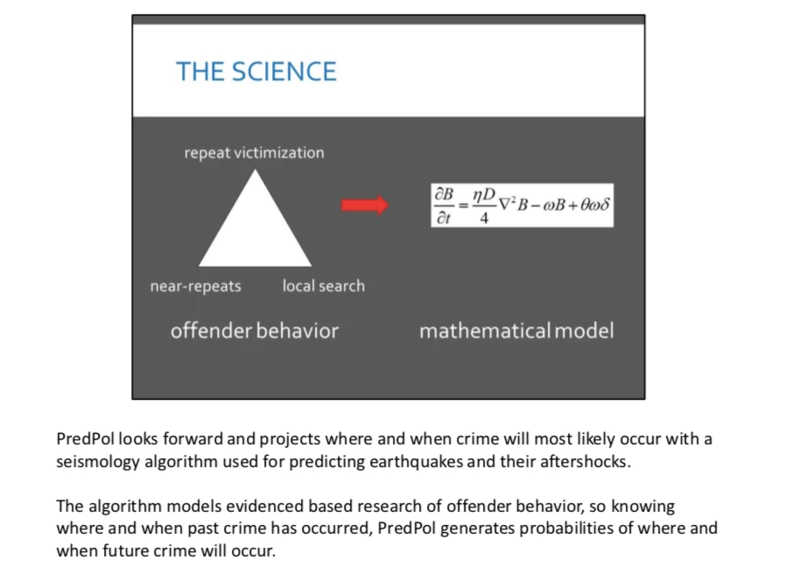 Predictive policing is a notorious source of algorithmic discrimination and Predpol, in particular, has been shown to be a means of laundering racist policing practices through an algorithm that gives them the veneer of empirical impartiality: feeding faulty data to a predictive algorithm produces faulty analysis. The documents obtained by Motherboard—which include PredPol contract documents, instructional manuals and slide presentations for using the software, and PredPol contract negotiation emails with government officials—were obtained from the police departments of South Jordan, UT; Mountain View, CA; Atlanta, GA; Haverhill, GA; Palo Alto, CA; Modesto, CA; Merced, CA; Livermore, CA; Tacoma, WA; and the University of California, Berkeley using public records requests. These cities and municipalities are home to over 1 million people, according to the most recent census data available. In October, BoingBoing's Cory Doctorow published a story speculating that these cities had contracts with PredPol, based on an anonymous researcher's study of the company's URL structures and login portals. These documents confirm these cities have or had relationships with the company. One of the documents the company gave to police that was obtained by Motherboard notes that predictive policing "benefits potential offenders" by preventing them from committing crimes: "That's one less chance for them to run afoul of the legal system, and that does benefit them," it says. Other documents shared with law enforcement list some of PredPol's former customers, including an additional 15 American and British cities; one of the documents notes the company has "many more" customers that have not been listed. The company also retains sensitive crime data indefinitely on servers owned by a third party.